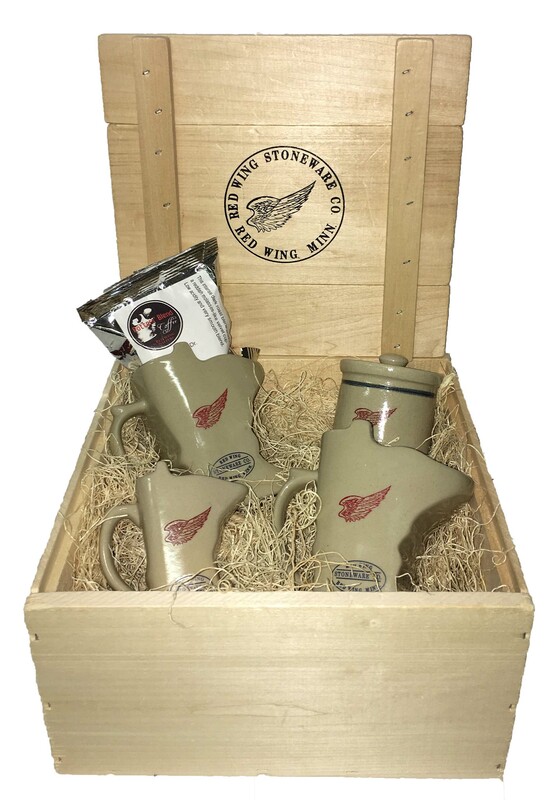 The Sota Coffee Package includes two SotaMugs & a Sotacreamer which honor the unique shape of Minnesota. Also included is a sugar crock with a 2.5 oz package of Potters blend coffee. Nothing says Minnesota more. Sotamug options include Red Wing, home., or Minnesota “nice”. Sotacreamer & the Sugar crock some in the Red Wing pattern. Add on Red Wing sotashot for that final touch.